For the second time, it looks like the government's efforts to reunify separated migrant families will be stymied by its own bureaucratic failings. Those 463 migrants are among about 1,000 who are highly unlikely to be reunited with their 5- to 17-year-old children by Thursday, despite a court-ordered deadline handed down a month ago. Those parents have joined a growing group of migrants: parents who were once held in U.S. immigration custody whose whereabouts the government has now lost track of. Also in that purgatorial group are some 200 migrants who were released from immigration detention into the United States. Those individuals may not be reunited with their children this week as they may be difficult for the government to locate. At a status conference Tuesday before U.S. District Judge Dana Sabraw, the federal judge who ordered those reunifications on June 26, the government defended its progress on family reunifications — Scott Stewart, a lawyer for the DOJ, said he was “proud” of government efforts and denied widespread reports of chaos on the ground — even as they conceded that their work has been stymied by bureaucratic confusions. The “large number of parents who are unaccounted for, or who may have been removed without their child,” is “a deeply troubling reality of the case,” the judge said. In response to questions from the judge, the government also said it was unable to specify how many reunited migrant families have been released and how many are being held in immigration detention centers. At a press conference in Austin earlier Tuesday, Manoj Govindaiah of RAICES, an advocacy group working with migrant families, said there is “no rhyme or reason” to which families are detained. And Fabian, speaking for the DOJ, said she could not say whether the approximately 20 migrant parents who have been recently deported were with their children when that removal took place. Due to a temporary court order, the government may not deport families immediately after they are reunited. But lawyers for the DOJ have asked Sabraw to reconsider. Lee Gelernt, lawyer for the American Civil Liberties Union, which successfully took the government to court this year to order the reunifications, said reunifications have been “a mess on the ground” — a characterization the government disputed. This week’s reunification deadline is the second the government has faced — migrant children under 5 were to be reunited by July 10 — and the second time confusion over parents’ location has at least delayed, if not prevented, reunifications from taking place. Earlier this month, just over half of the toddlers, 57 of 103, were reunited with their parents, and the rest declared “ineligible” — many because the government had released or deported their parents and did not know where the adults were. 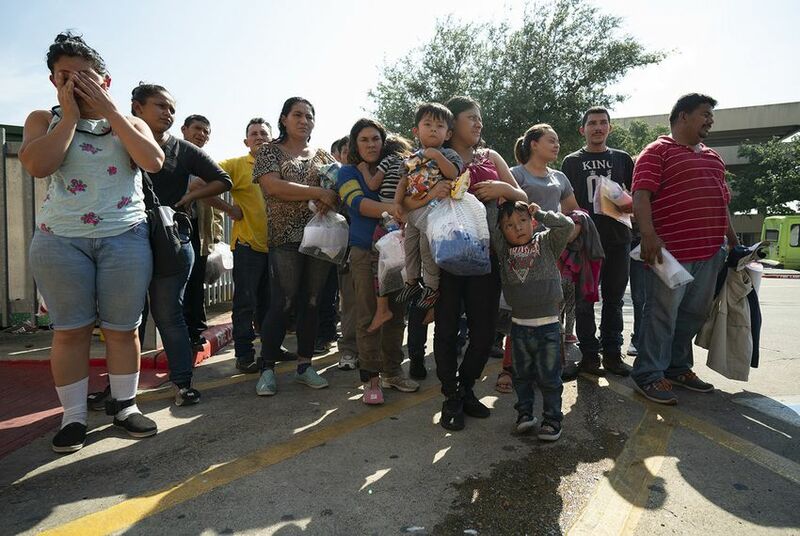 The judge praised the government for its reunification efforts, calling it a “remarkable achievement,” but acknowledged that the ACLU is due more information about where migrant parents are and how their cases are progressing.